Geezer Rock was a rock formation which resembles a face. 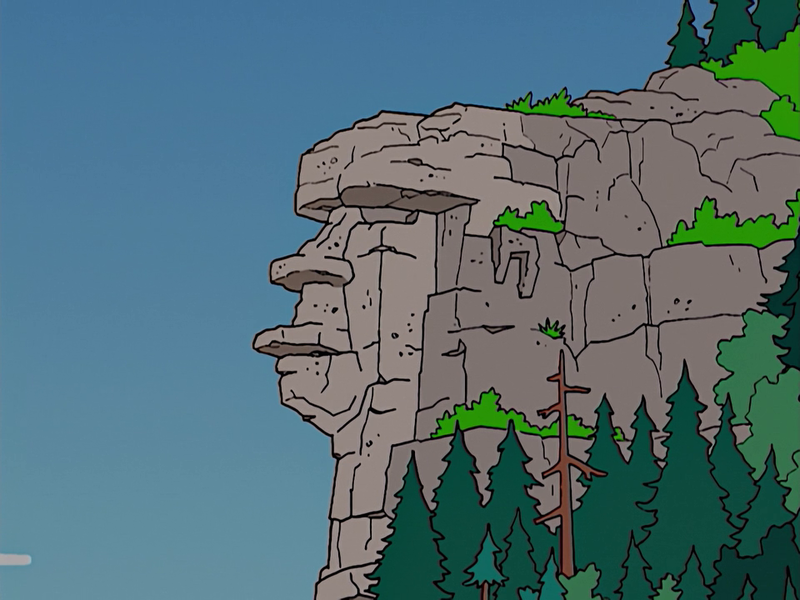 Springfield held a ceremony dedicating Geezer Rock, which had become a national park. During the ceremony, Homer noticed that there is a small tree growing in the eye of the rock and pulled it out. 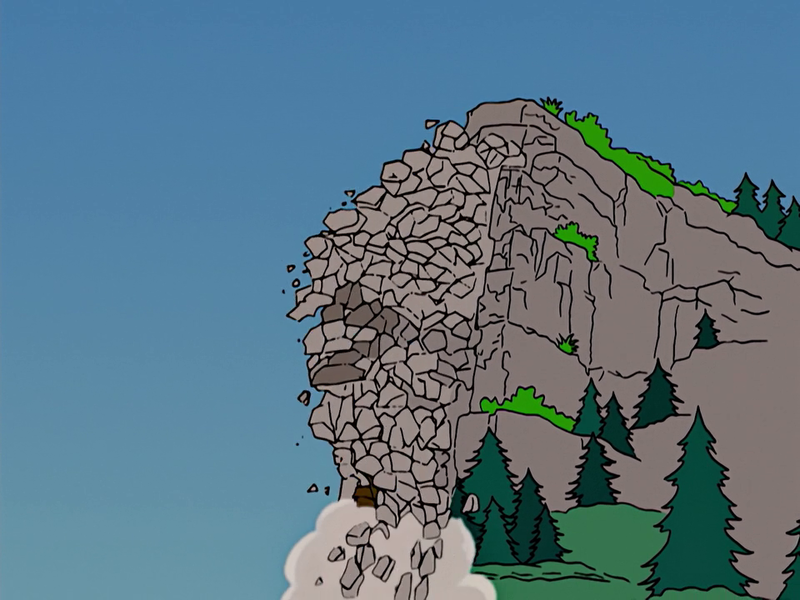 This caused the rock to collapse, crushing Mr. Burns in the process. 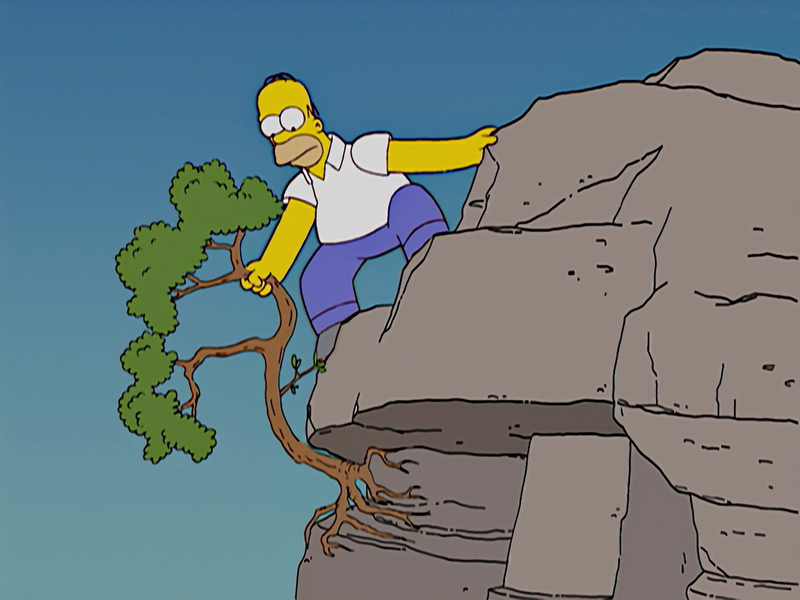 Homer pulling out the tree in the eye of the rock. The rock collapsed because the tree has been pulled out. Modified on May 2, 2017, at 17:45.